What is a farm? For the purposes of the census, USDA defines a farm as any place from which $1,000 or more of agricultural products were produced and sold, or normally would have been sold, during the census year. The statistics express a transition that has been playing out in the Upper Valley for several decades: the conversion of some dairy farms to smaller fruit, vegetable and meat operations and the consolidation of other dairy farms into bigger operations. Overall, agriculture in the Upper Valley is more diverse than it was a half-century ago. 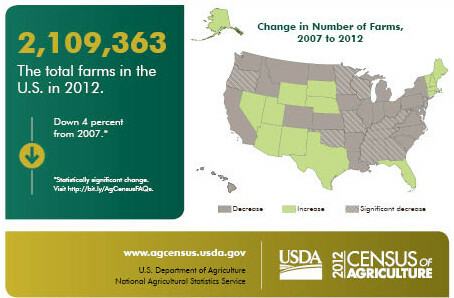 More new farms and incoming farmers are focusing on niche markets and direct sales than on commodity-based agriculture. 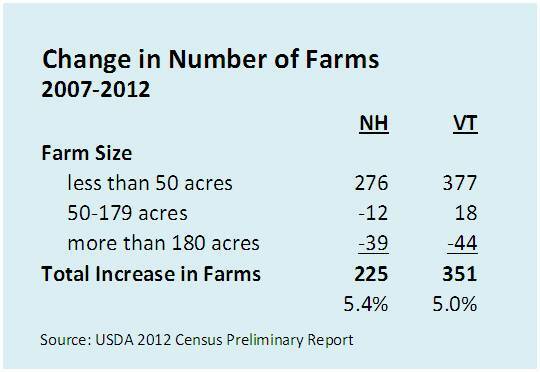 New Hampshire and Vermont, along with the other New England states, are an anomaly in agricultural statistics: a place where farming is on the increase. Dairy farms remain vitally important to our regionâ€™s agricultural economy and the health of our rural lands. The New England Dairy Promotion Board reports that dairy farmers manage over 50 percent of the cropland in five of New Englandâ€™s six states, 5,000 farms and 2.5 million acres of land in New York. 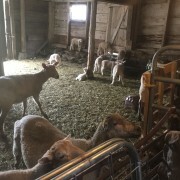 Here, locally-owned dairy operations have sustained much of the infrastructure that now contributes to the growing local food movement: farm equipment dealers, banks, and veterinary practices as well as community ties between consumers and local farmers. 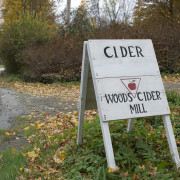 Our regionâ€™s â€œlocalnessâ€ is a strength and opportunity for farmers, a reason that Upper Valley farmland is sought after. UVLT is committed to conserving great farmland so it can produce healthy food now and for years to come. Â We are working on the frontlines of farming transitions, assisting both existing farmers and incoming farmers as they seek to acquire and conserve land, to adapt their businesses or plan for retirement. Some of the most productive soils in the world are found in the Connecticut River Valley. Big or small, our farms â€“ and our communities — need these to thrive.